lasting nail colors. 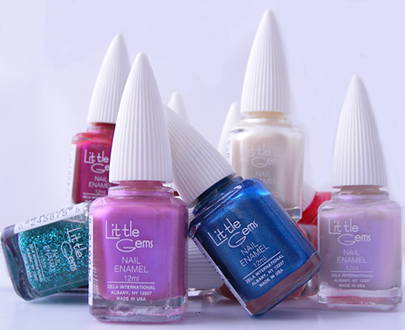 From metallics, glitters, and pearls, to satins, creams, and special effects top coats, there is every color in the rainbow. Packaged in a chic, easy to use bottle. You can take as little or as many with you, wherever, whenever.